The Moscow Mule is one of the most popular cocktails right now, but did you know there are limitless ways to make them with a twist? 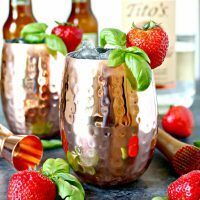 The Strawberry Basil Moscow Mule is so delicious and takes the classic Moscow Mule to the next level! Moscow Mules are one of our absolute favorite cocktails to enjoy year round. They are super refreshing, and so fun to drink out of copper mugs…not that you HAVE to drink them out of copper mugs, but they sure are fun! Recently, we’ve been trying some new flavors in our mule drinks, and the addition of strawberries and fresh basil from our herb garden is damn delish! It adds a slight sweetness and also the herbiness from the basil that just works together. So, if you hit the Farmer’s Market or grocery store this weekend, grab a pint of strawberries and some basil and make these immediately…you will be so glad that you did! And…be sure to check back here on Pour Me a Cocktail next week for Matt’s new favorite Bourbon Mule recipe! What’s in a Strawberry Basil Moscow Mule? 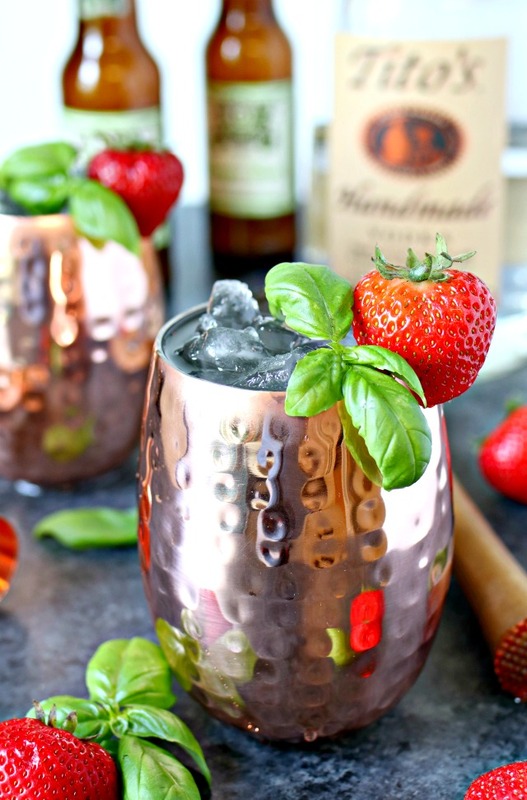 The Strawberry Basil Moscow Mule is so delicious and takes the classic Moscow Mule to the next level! Add 3-4 strawberries and 3-4 fresh basil leaves to a copper mug or glass, and muddle together. Fill the mug with ice. Add two ounces of vodka and 1 ounce of lime juice. Top of with ginger beer. Garnish with a strawberry and basil leaves. 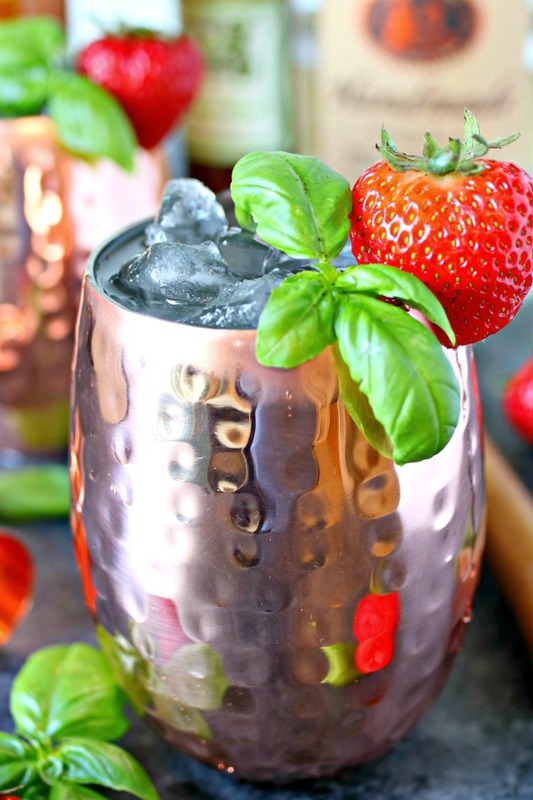 We hope you enjoy this Strawberry Basil Moscow Mule as much as we do! Be sure to check out our Recipe Index HERE for all of our cocktail recipes, and sign up for our emails below so you don’t miss a thing! 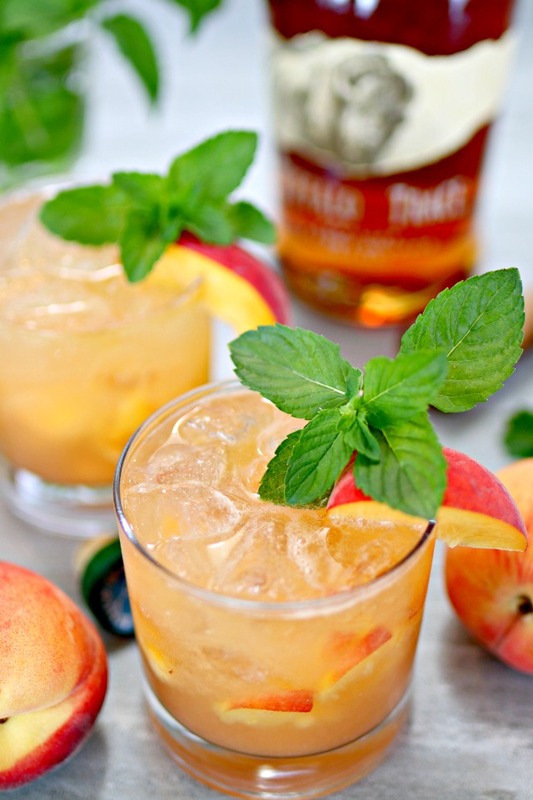 If you like bourbon, then you have to try the Bourbon Peach Smash…it’s the perfect mix of Kentucky bourbon and sweet Georgia peaches…a southern delight! 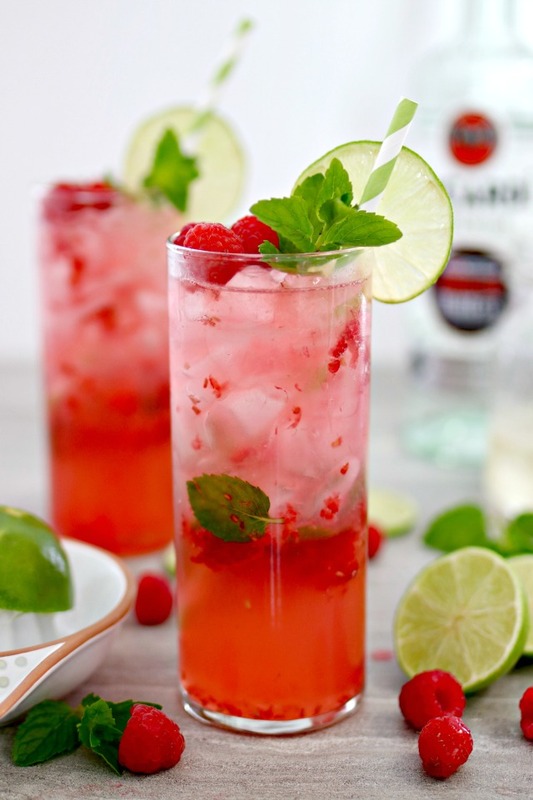 One of the most delicious cocktails we’ve ever had is this Raspberry Mojito…it’s so refreshing and easy to make! You’ll skip the bar and start making them at home instead. 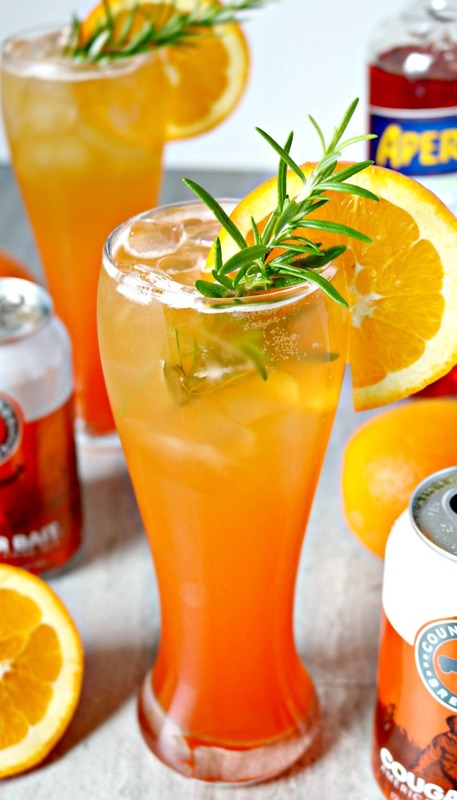 If you’ve never had a beer cocktail, then you have to try this Orange Aperol Beer Spritz…it’s a little sweet, and a little bitter, but oh so good!